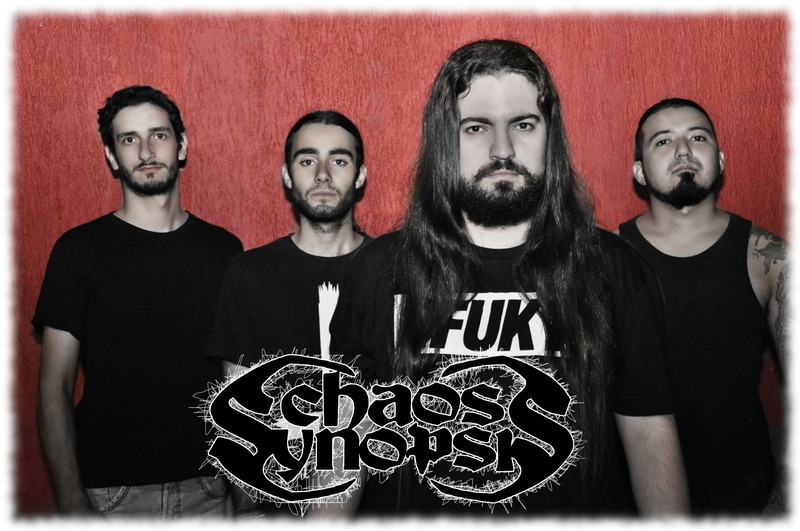 Chaos Synopsis is a Thrash and Death Metal quartet hailing from Brazil. They have existed as a band for just above ten years and have released a grand total of three full-length albums, one demo, one split, one single and a live album, all of which have been met with positive feedback. 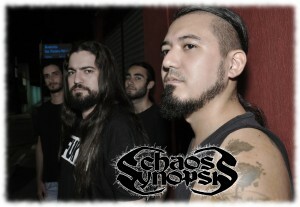 After having listened to their 2015 release, Chaos Synopsis graciously agreed to talk to us about big and small. MR: First of all, thank you for taking the time to talk with us. 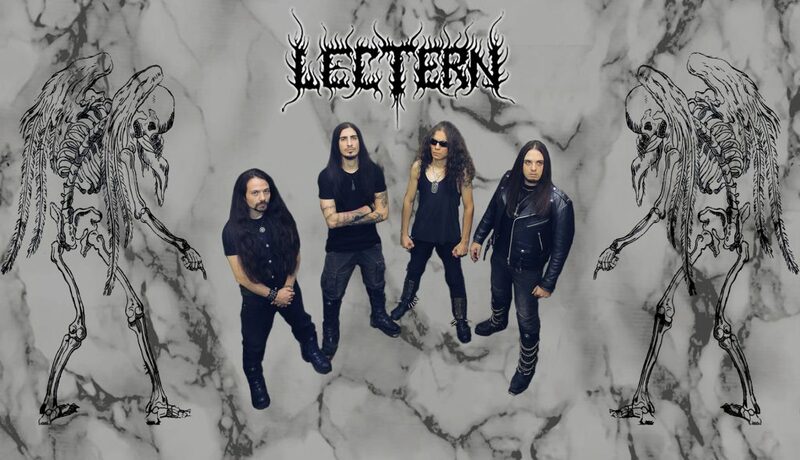 Now, your newest full-length release received a very favourable review here at Metal Revolution. Hopefully that makes you feel proud? 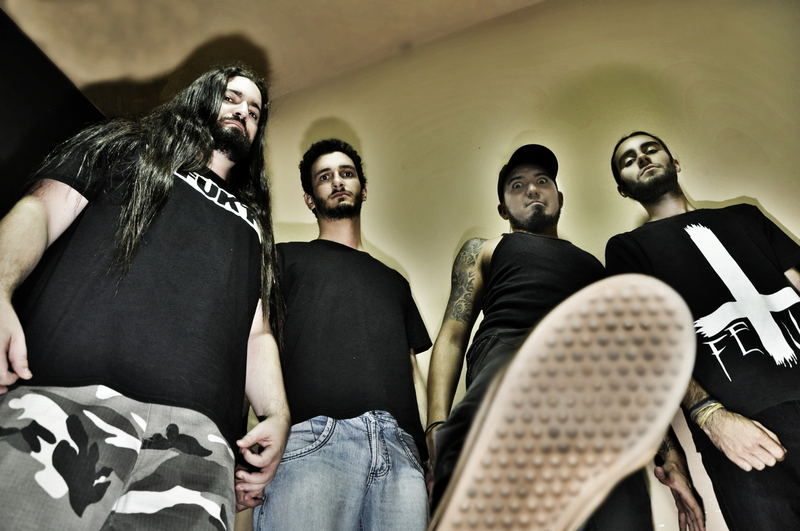 Jairo: we’re very happy with the reviews that have been made on ”Seasons of Red”. I feel we’re at the right path, making the music we like and seeing that the crowd also enjoys it. It’s awesome! MR: The name Chaos Synopsis is very interesting. Where did you get the idea for the name from? Does it mean anything? Jairo: the idea is that we talk about a lot of disgrace and chaos that runs the world, so, basically, when you look at the band, you would see a synopsis of the whole situation out there, CHAOS everywhere. MR: How would you, in your own words, describe your music and the concept (if any) behind your releases? 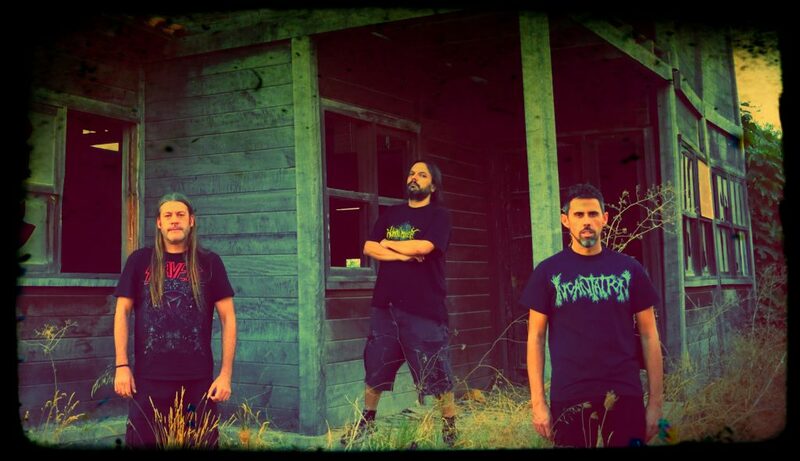 Jairo: Although we focus on death and thrash metal, we like to take ideas from other rock styles, so every release we try to bring something new, as on ”Seasons of Red”, that we’ve put a lot of melodies. As for the concept, each album has a central theme, and we write the lyrics focused on it. On ”Kvlt ov Dementia” we talked about madness, ”Art of Killing” was just about serial killers and ”Seasons of Red” discusses about conquerors around the world. MR: Earlier this year you released a Split album with Polish Terrordome. How did you manage to arrange this and for what reason? Did you know the band beforehand? Jairo: On our first european tour in 2010, Terrordome was there on our first gig and we partied hard. After that, we managed to encounter them on euro tours on 2014 and 2015 and our friendship grew stronger. They were to come to tour on Brazil at the start of 2016 and invited us to be part of the split, it was an awesome idea, write history together with the guys, so we managed to compose two new songs and there it is, the ”Intoxicunts” split. MR: Having been around for eleven years has no doubt given you a lot of experiences. Do any such in partiular stick out in your mind as a very positive experience? MR: As a small easter egg for our readers, could you share with us what your favourite Chaos Synopsis track is and why? Jairo: that’s really hard to tell, as it always change, anyway, for the time being is ”Gods Upon Mankind”. This music have what it takes to be on a Chaos Synopsis album and it has some oriental style and instruments, also we’re filming a clip for the track, full of cool images. MR: You recently added two new guitarists to your bands line up. How do you feel that has affected the band as a whole? Jairo: having new guys always brings new ideas, new way of thinking the music and the business and adds more energy to continue. MR: Do you plan on going on tour in the near future, now that you have released both a full-length and a split album within a year of one another? 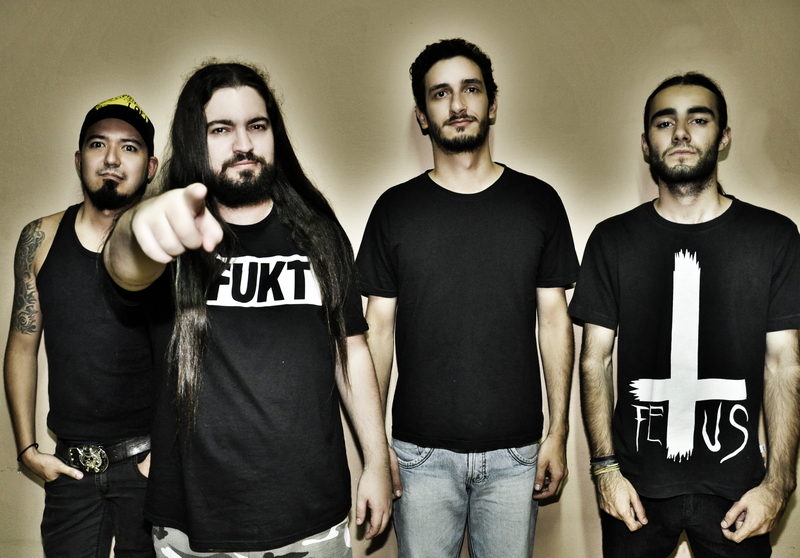 Jairo: we’re touring around Brazil for this whole year. For 2017 we’re already planning another euro tour. MR: Have you planned any more releases in the near future? Jairo: we are always full of ideas, we already started the process to compose the next album, planned to be released around april of 2017. Jairo: I thank the opportunity for the interview. 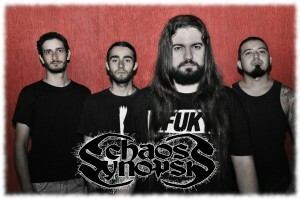 You guys out there, check our stuff on youtube, spotify and if you like it, buy online on our site www.chaossynopsis.com. We’ll meet on the stage someday.